What should brides know about choosing a hair and makeup artist (HMUA) that fit their style? What are some common misconceptions brides have about hiring a wedding HMUA? 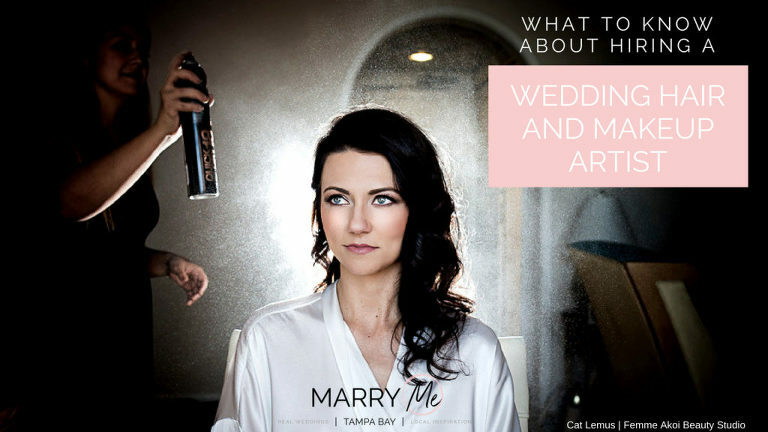 What should brides expect to pay for wedding HMUA services in the Tampa Bay area? Hair and makeup services can run in the thousands. It just depends on how elaborate you want them. For example, you can add extensions which can cost up to $1,000. I always tell my brides, you can find a nice dress at Target, Dillards, and Nordstroms, but for a special occasion you probably want to shop at least at Dillards or Nordstroms. For your wedding, you want quality and service which comes with a higher price tag. Normal hair and makeup should be no less then $100 per person and will increase from there based on quality, experience and reputation of the artist. What raises prices is usually a demand on time. If you are seeking an artist that is in high demand, she may use the same products as the next artist, but she has a higher demand in the industry, which makes her time more valuable. For a professional makeup artist who works full-time in the wedding industry, you should expect to pay somewhere between $125-$350 (bride) and $80-$160 (bridal entourage) depending on the extent of services you choose. Of course there will be a range of prices, but for a bridal hair and makeup package $150-$250 is an average here in Tampa Bay. What should brides do BEFORE coming to their trial? What tips do you have to help a bride feel comfortable during her trial? What additional tips do you have about hiring a wedding HMUA that makes the process easier for couples? Although hair and makeup artist are willing to do anything to make your day go smoothly, (I have actually taken out trash, babysat, sewn a bridesmaid in her dress), a HMUA is not your indentured servant. So, while I am sure your HMUA loves being there, just make sure she is able to get a drink of water when she needs to, go to the bathroom, and is in a comfortable climate.